The City of Des Moines is piloting its first protected bike lane as part of the E Grand Avenue Complete Streets Conversion. Be sure to click on the links under Resources to learn more about how to use this new facility. 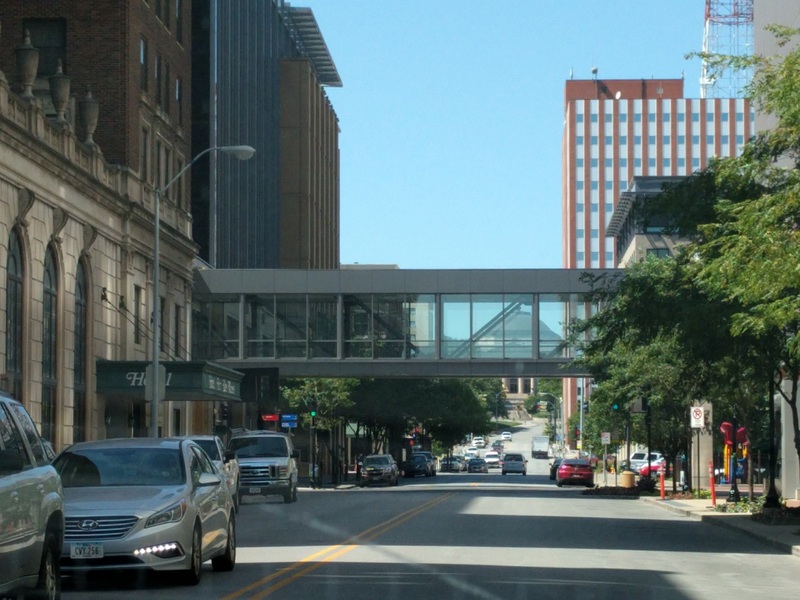 "An ambitious new plan to make downtown Des Moines more accessible for walkers and cyclists has one goal in mind: Improve safety to encourage more street life." Read the full article here. Exciting changes are coming to E. Grand Avenue. In advance of the restriping, we want you to have an opportunity to see and experience what these changes will look like. A demonstration was held in August 2017 on East Grand Avenue between East Second and East Fourth streets. Connect Downtown is investigating exciting opportunities to make getting around downtown safer, more comfortable and more convenient. 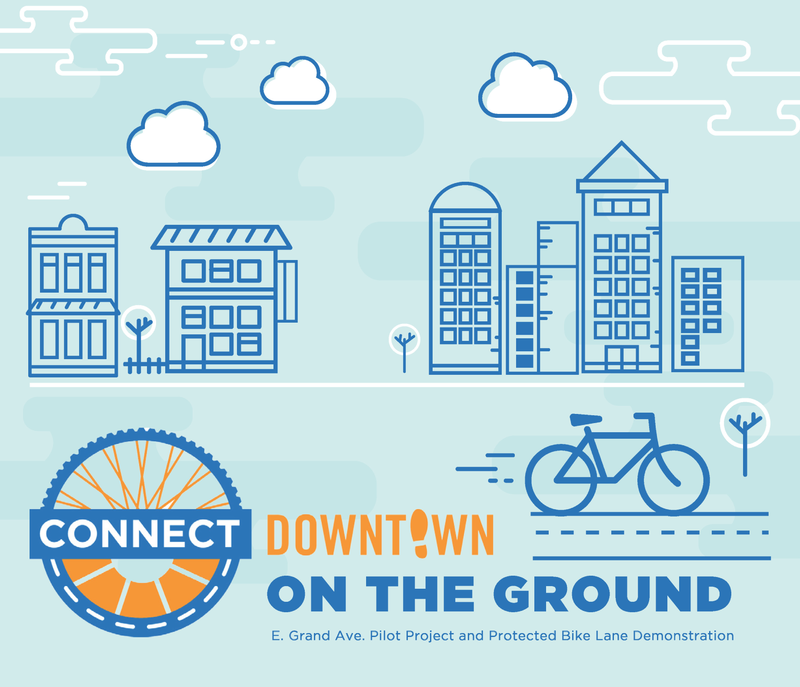 The City of Des Moines, Urban Land Institute Iowa, and the Greater Des Moines Partnership hosted two open houses to introduce the Connect Downtown project in November 2016 and hosted two additional open houses in June 2017 to present preliminary concepts. For those unable to attend the June open houses, an online version of the presentation can be found on the Get Involved page. During the events on June 8, the project team, which includes city planner and “Walkable City” author Jeff Speck, presented findings from its in-depth analysis of the street network within Downtown, how streets are currently used, as well as opportunities for improvement. The strategies were developed based on discussions with stakeholders, feedback received at the last open house events in November as well as online feedback. Sign up and receive updates and find out what’s new with the Connect Downtown! The Final Connect Downtown Plan is available on the downloads page.